The Guild for Human Services offers a continuum of services for youth and adults with intellectual disabilities, including autism, and behavioral/mental health challenges. Each student and adult resident has a customized plan designed to allow them to achieve their full potential. The Guild is committed to our mission: to educate, encourage and empower individuals with intellectual disabilities so they may achieve their full potential to lead high-quality lives and participate meaningfully in society. The Guild utilizes the collaborative efforts of leading professionals, best-practice approaches, tailored curricula and unmatched care to treat the individuals we serve. 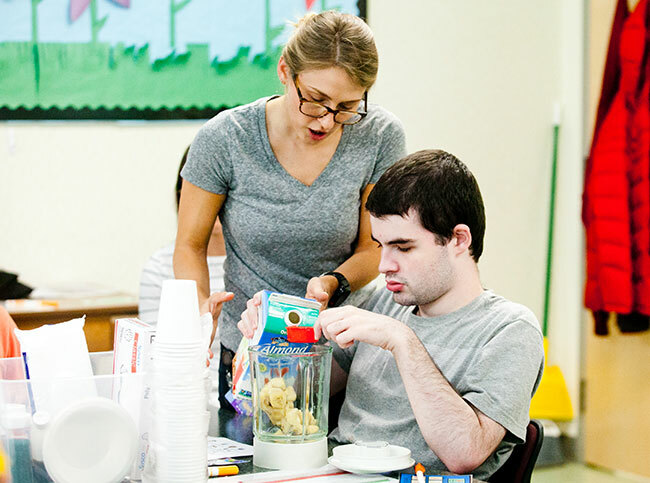 The Guild serves youth and adults diagnosed with mild to severe intellectual disabilities, including autism, and behavioral and mental health challenges.